Uno, dos, tres, quatro, cinco (de Mayo) reasons to do a Spartan Race! It’s a day to celebrate independence and to think about becoming a Spartan??? When I think about independence I think about strength, courage, motivation, inspiration and freedom. As a strong female athlete participating in sports is an important way for me to find my passion and to be who I want to be. Every new athletic pursuit for me is a way to chase my dreams, to push myself hard and to build my confidence and inner-strength. So guess what, I have decided to add a Spartan Race to my racing resume. Now the question is which distance? I am looking at the Vermont Spartan Race at Killington Mountain Resort and am trying to decide between the Spartan Sprint (4 miles plus obstacles) Spartan Beast (12 miles plus obstacles). The rational person in me says to go for the 4 mile Spartan Sprint but the insanely ridiculous endurance sports enthusiast in me says to go for the Spartan Beast. Which would you choose? Reebok All Terrain Series. Built Spartan Strong. Become proficient at crawling through the mud, navigating through barbed wire, jumping over fire and more. Haven’t you always dreamed of this? Make a new intense group of athletic nuts friends. Become a part of the crazy sane group of people who call themselves Spartans! As I continue to set new goals for myself this year I am going to work hard to leave my comfort zone and to try new race adventures. In recent years Obstacle Racing has become very popular and has given athletes a new and different way to train and compete. I have been inspired to learn more about obstacle racing through reading amazing stories about obstacle racing adventures on the blogs Dirt in Your Skirt and Relentless Forward Commotion. Margaret Schlachter and Heather Gannoe’s tales of jumping over fire, carrying sandbags, climbing ropes, and completing endless numbers of burpees will leave you wondering if you could stand up to the challenge. Well, guess what! I am offering you a 15% off discount! 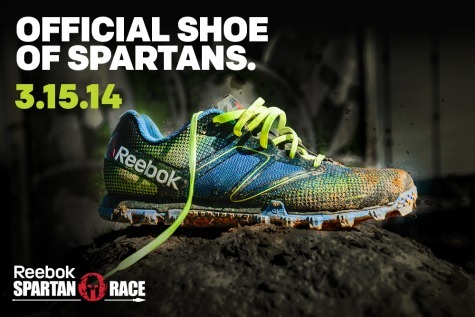 All you need to do when you go to register is to choose your awesome race and enter through this LINK: http://bit.ly/spartanwarrior which will automatically generate a 15% off discount for you. I am also thrilled to be giving away 1 FREE Entry to the Spartan Race of your choice! Please enter to win below and share my giveaway with your obstacle course racing friends! Spartans are the best of the best of the OCR world. I’d travel thousands of miles to compete if i had to. How many have you done before? I am nervous but excited to go for my first one! I’ve never done a Spartan, but a couple years ago I did the Primal Mud Run and it was a blast. A real challenge. I’ve never done one either so this should be a wild and crazy adventure! I would love to do the Super in October in Boston!! Haven’t done one yet….but I would like to do a sprint with my daughter. I’ll be doing lots of burpees as there are some I just can’t do yet and some that I’m scared of jolting some bionic parts. Want to do this so bad!!!! I’ve never done one before. I’d love to do this! Never done one. Need to do this one! I would love to win this for my daughter. She’s always wanted to do this! I did a Spartan a few months ago and hope to again soon! And the burpees were the worst part! I’ve done a few OCR’s. The Spartan Race I did with my girlfriends was amazing! I was actually going to start looking for a promo code “when I finish catching up on a few blogs” so I could sign up. Winning would be so much better! I haven’t done an obstacle race yet! I am missing out on all of the fun!!!! I have never partaken in a spartan race before, but a warm climate race in Florida would be fun. I haven’t done an obstacle race. I think the fire or freezing cold water scares me the most! I was crazy enough to try the Vermont beast last year. It took 9 hours. It was the toughest thing I’ve ever done in my life. I’m looking for redemption this year. Greg, was it the Ultra Beast or just the Beast, I am hoping to do the Beast but scared that it could take that long! Good for you for going back for more!